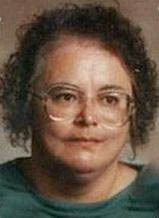 WATERLOO - Diane Anderson-Harris, 57, of Waterloo, died Thursday, April 14, at her home. She was born Dec. 29, 1953, in Waterloo, daughter of Thomas and Donna Keegan Anderson. She married Dale Harris. They later divorced. She was employed with Affina and Waterloo Fraternal Order of Eagles. Survived by a son, Richard Anderson of Waterloo; a daughter, Heather Harris of Waterloo; six grandchildren, Larissa Hagenstein, Brady Hagenstein, Devon Anderson, Matthew Petty, Dalton Tomkins and Keeley Anderson; a brother, Thomas (Becky) Anderson Jr. of Waterloo; and a sister, Angie (Bob) Surovy of Waterloo. Public visitation: from 3 to 7 p.m. Tuesday at Hagarty-Waychoff-Grarup Funeral Service on West Ridgeway, with a 6 p.m. vigil followed by an Eagles Auxiliary Service. Inurnment will be in St. Mary's Cemetery, Masonville.